Continuing a long standing tradition at The Doane Stuart School, students, faculty, and staff gathered Thursday for the annual Convocation ceremony, which officially marks the start of the school year. 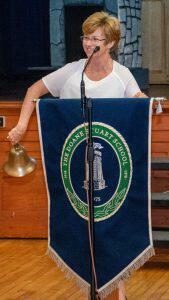 During the event, Interim Head of School Sharon Duker welcomed new faculty and staff and Director of Admission Dan Pearson welcomed all new students, who were greeted with a long round of applause from their peers. 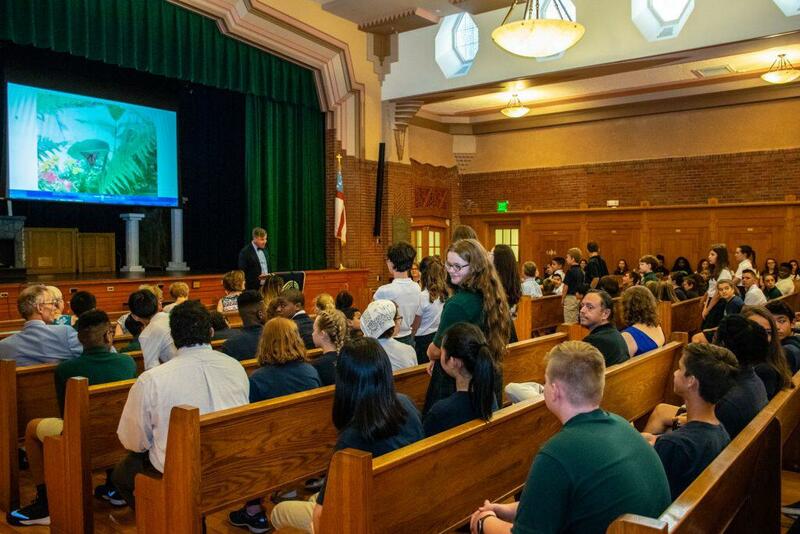 As part of the event, the school community celebrated and recognized the fourth and eight grade classes and the senior class, as they head up the Lower, Middle, and Upper School, respectively. In recognizing the Senior Class, Assistant Head of School Bill Russell introduced the 2018-19 School President, Brian Ganeles ’19. Bringing the event to a close, Ginna Roeding, President of the Doane Stuart Board of Trustees, rang the bell that signifies the beginning of classes. Isabel Barats ’20 provided the soundtrack for the event, with a piano Processional and Recessional.